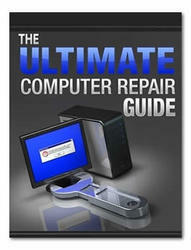 WARNING:Care must be taken when replacing the Upper Cover to prevent damage or stress to the surface. 1. Place the Upper Cover on the Lower Cover, top right side first, and lower it into place. 2. Starting with the sides, press down all around the perimeter of the cover to secure it in place. 3. Reconnect the three FFC cables to the mainboard. 7. 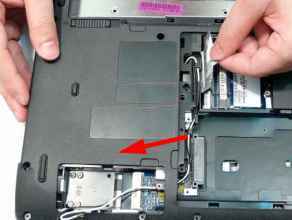 Replace the two securing screws in the Upper Cover. Turn the computer over. 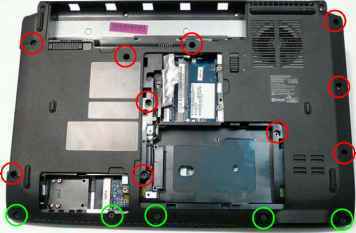 Replace the fifteen screws on the bottom panel. 1. Carefully align the LCD module over the hinge sockets and lower the module into the chassis, taking care not to trap the LCD cables. 2. 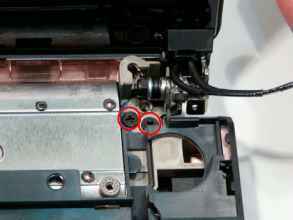 Replace the two securing screws on the right hinge as shown. Replace the adhesive strip on the left hinge. Reconnect the Microphone cable to the Mainboard as shown. 6. 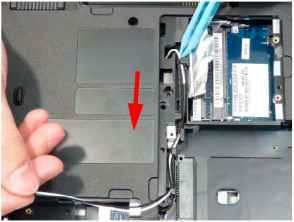 Reconnect the LVDS cable to the Mainboard as shown. 7. Insert the Antenna cables through the casing, as shown, and pull through from the underside. NOTE: Ensure the cable is pulled completely through the casing. 8. Run the Antenna cables along the cable channel as shown, using all available cable clips. 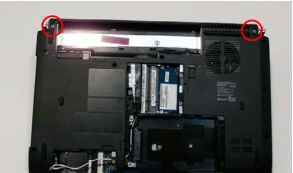 IMPORTANT: Run the cables as shown to avoid trapping when the Switch Cover is replaced. 9. Replace the adhesive strip to secure the cables in place. 10. 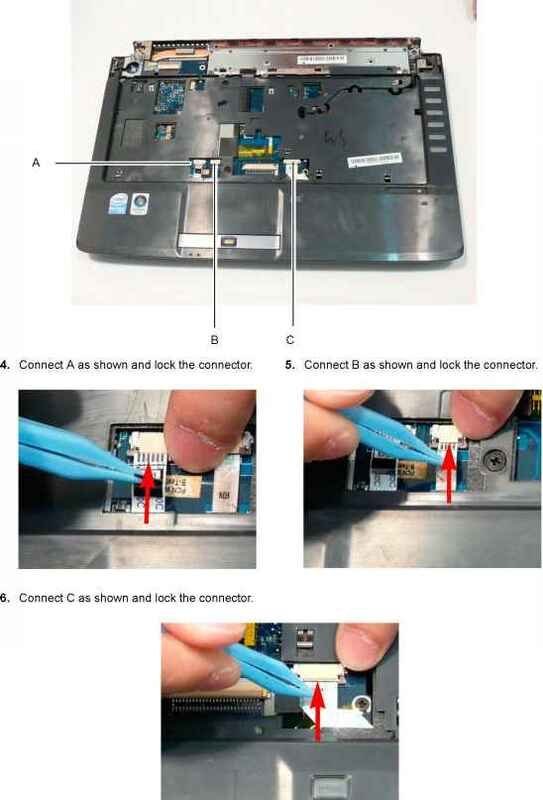 Pull the Antenna through the casing into the WLAN bay as shown. 11. Turn the computer over. 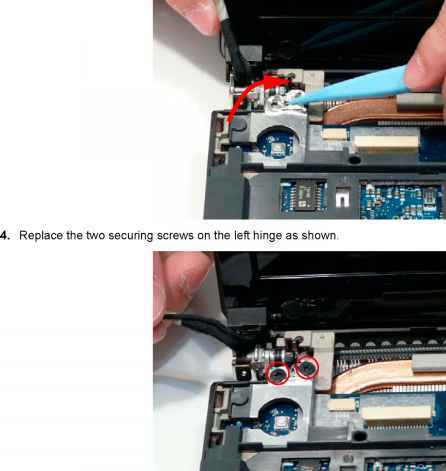 Replace the two securing screws. 12. Replace the two pieces of adhesive tape securing the Antenna cables to the Upper Cover. 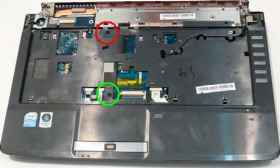 Where antenna wireless acer aspire 4736? 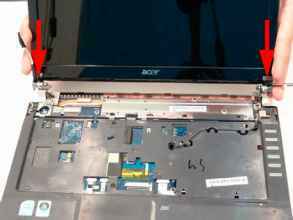 How to change lcd acer aspire 4540? 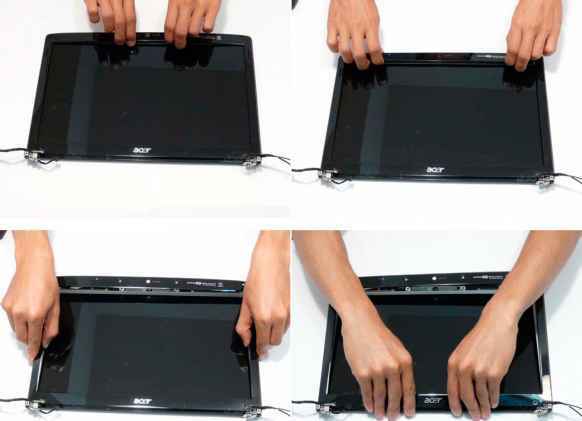 How to replace acer travelmate 7720 lid/cover hinge broken? 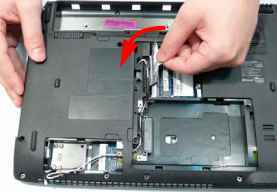 How to replace acer aspire 3680 top cover? 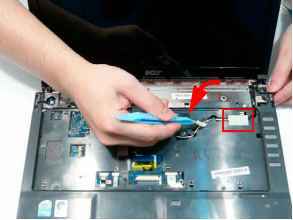 Where can i find acer laptop wifi antena acer aspire 5710? 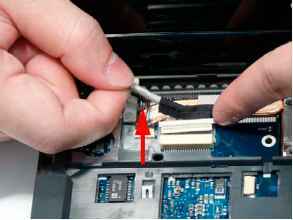 Where is the wifi antenna asus aspire laptop?